What Are Airport Security Rules? Airport security rules originally mandated by the U.S. and U.K. and subsequently followed by the EU and other countries back in 2006 limited items in carry-ons after an alleged terrorist plot involving liquid explosives and airliners was publicized in London. You can get the lowdown on current airport security rules here, but a brief summary would be: all liquids and gels over 100 ml (excluding medication) are banned from your carry-ons. You'll also be expected to remove your shoes and laptop when you pass through security, and you must remove anything metal from your body before you pass through the scanners. Airport rules currently limit liquids and gels to small containers within small (100ml-sized), clear, plastic bags with Ziploc-style closures. In some countries, you can carry on liquids in bottles, like water, if you bought them after clearing airport security. The liquids and gels will have to be taken out of your carry-on and sent through airport security X-ray machines separately from the rest of your belongings. So will your laptop and the shoes you are wearing. Most liquid/gel airport rules are similar enough that packing with U.S. airport rules in mind will work for you in any country. How Do Airport Rules Affect How You Should Pack? Airport rules mean that most travelers simply cannot pack everything needed for a trip into carry-on bags. Checking a bag does mean more packing freedom (checked suitcases can be big, and carry-ons must fit a size requirement), but that can also encourage you to bring more stuff than you actually need. Packing light is therefore as key to easy travel as ever -- though I sometimes check my carry on-sized backpack with some liquids and gels inside and carry on a daypack because I have spent a fortune in bus tickets finding key stuff like high-SPF sunscreen in some countries, and those searches are time-consuming an annoying when you're on a short trip. Therefore, for trips lasting over one week, I sometimes check a bag containing key stuff. If you'll be taking a trip lasting under one week, you should take a carry-on bag to avoid baggage fees, waiting in line to pick up checked luggage, the potential of losing your checked luggage or finding broken items in a suitcase tossed around by baggage handlers. I've also had my TSA-approved luggage locks broken by the TSA before. What Items Do You Need To Carry On Board? For me, my carry-on is where I keep anything I can't bear to lose. While lost luggage is rare, it can happen, and if I'd kept all of my SD cards containing photos from my travels in my backpack, I'd be devastated if they went missing. And sure, your carry-on bag could go missing or get stolen, but it's less likely if it's always beside you. Most of the space in my bag is taken up with technology, then. I keep my laptop, phone, Kindle, camera, and external hard drive in my carry-on bag at all times. My passport is obviously a carry-on luggage essential, as is my debit card and several hundred dollars worth of local currency. Medication, too. I pack my birth control pills and a spare course of antibiotics in my carry-on, just in case. When it comes to shampoo, conditioner, perfume, and shower gel, I buy them in solid form from LUSH. They last me months, take up very little space, and pass easily through security! Where Can I Find Small Sized Liquids and Gels? The easiest place to find travel-sized items is at drugstores at the airport! You'll rarely struggle to find any at the one place where everyone is looking for them. If you don't want to leave it that late before buying them, you can go to any regular drugstore and pick up some smaller-sized items (they have to be under 100 ml) to go in your bag. Finally, you can put your own liquids and gels into plastic squeeze bottles/tubes/jars, which you can get at drugstores, if you can't find smaller-sized products anywhere else. If you're an experienced traveler, you'll already know the joys that come from traveling with just a carry-on bag: there's no need to worry about your things getting lost, you know you won't get a backache from carrying an overstuffed backpack, and you have more money to spend on travel if you don't have to fork out for checked luggage fees for every flight you take. There's no doubt about it -- carry-on travel is one way to minimize the stresses that come with travel. How, though, can you pack for airport security if you need to keep everything in one bag that needs to pass airport security requirements? As mentioned above, there are plenty of solid versions of toiletries you can buy beforehand to bypass the liquids rule at security, and there are easy ways around some of the other common problems, too. To avoid packing aerosols, look for liquid or solid versions of deodorant and hairspray. 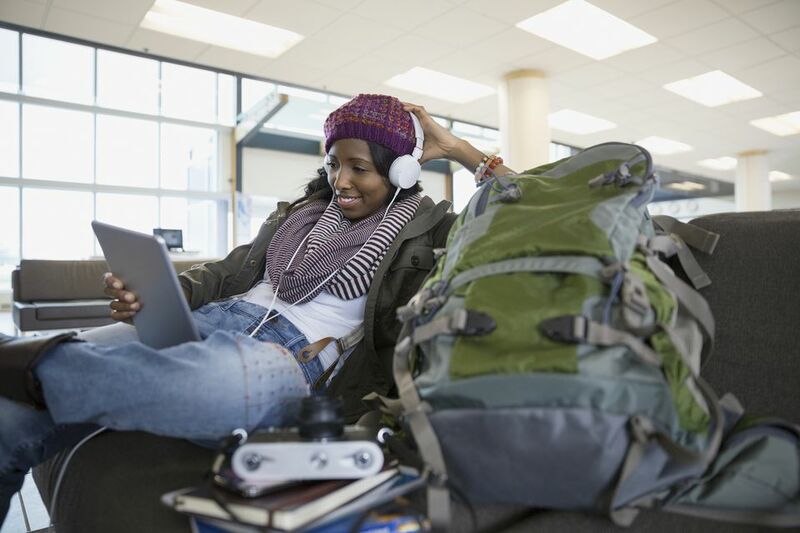 To keep you backpack's weight down, aim to leave more of your technology behind and travel with a tablet instead of packing a laptop and phone. And if you want to travel with a lighter or sharp scissors, just aim to pick them up at your destination rather than before you leave -- the money you'll save on checked luggage fees will mean still saving money on your overall trip. In summary, pack light, pack smart, and enjoy the journey!